Now hear this. Our ancient space colony is the only home we have. It’s floundering on the shoals of denial, greed and immutable feedback processes. There are no lifeboats. If exploitive corporate interests, their political lackeys and mesmerized “consumers” keep focusing on the frivolous while trashing this singular blue oasis like there’s no tomorrow… there won’t be. Meanwhile, most North Americans appear too frightened, too clueless, too addicted to brain-frying wireless gadgets and wasteful energy habits to drop their anxious denial and move to avert the worst of the many converging catastrophes we are condemning our grandchildren. Such insanity is understandable to a point. Caught up in conditioning that begins at birth and is daily reinforced by unconscionable media censorship, bogus alarms over distant phantoms, and exhortations to consume, those most complicit in this planetary shipwreck are offered few options by corporations whose remorseless bottom-line computations are condemning the offspring of so many species to a living hell of acid seas, embedded weather extremes, brain-wiping microwaves and solar-irradiated skies. Make no mistake. Nearly 32 gigatons of heat-trapping CO2 pumped into Earth’s closed, recirculating atmosphere every year, plus the oceanic and Arctic heat amplifications now kicking in, ensure dramatic climate shifts that will haunt as yet unborn generations. But it’s a drastically stepped up geoengineering program that is shoving climate change into climate chaos. The replacement of 11-foot thick Arctic sea ice with expanding slush, rain showers “flashing” into snow at temperatures well above freezing, deepening droughts in regions that should be seeing increased rain, failed monsoons, a dying world ocean, a fractured jetstream and rapidly rising levels of methane and ultraviolet radiation are impervious to denial. The forces we’ve inadvertently or deliberately set in motion require not belief but immediate acknowledgement. With so much at stake, so much going doing down, and so many of us culpable, there are no more excuses. The point is not winning debates over ever-changing numbers. It’s about getting the lessons we’ve allowed and arranged for ourselves before it’s too late for most life on this lonely oasis. But hey. Why should we worry when corporate mass-media mesmerizers encourage our fixation on quick fixes that invariably make even the biggest problems much, much worse? Sunlight-trapping carbon and nitrogen oxide emissions melting ice sheets, displacing the jetstream, drowning polar bears, freaking out the weather? Just follow the late Dr. Edward Teller’s urging and spray ice-nucleating and sunlight-reflecting chemicals behind high-flying jet tankers. It’s called atmospheric geoengineering. And it tops a long list of species-limiting hubris. Remember June 2013? 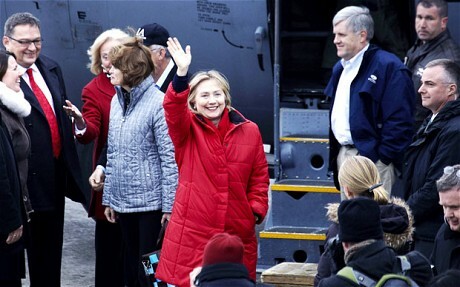 American geoengineers were jubilant. Their atmospheric aerosol assault was working! 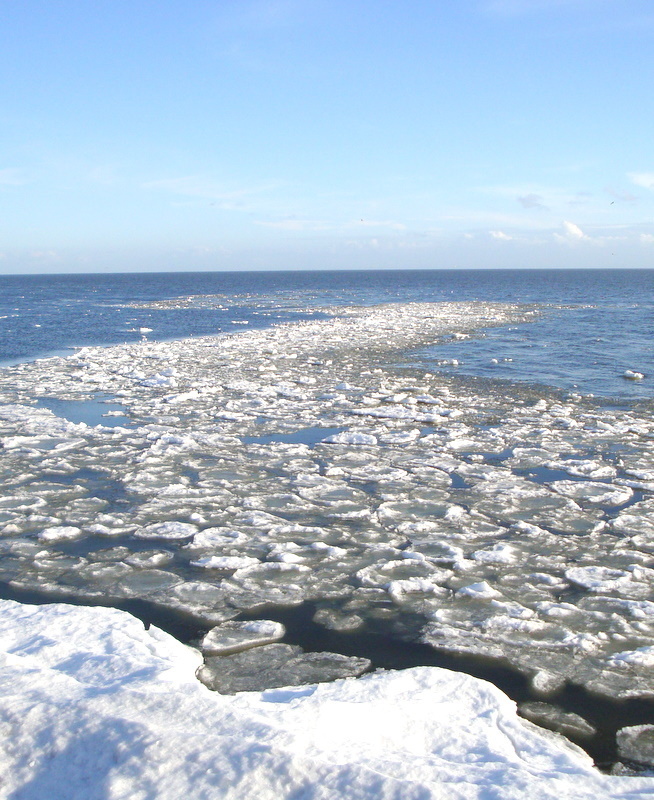 Temporarily aided by a grotesquely distorted northern climate, their all-out aerial efforts to thicken cloud cover and lower temperatures over the Arctic Oceans saw rapidly diminishing ice cover rebound 40,000 square kilometres in just two days! And too bad about California. 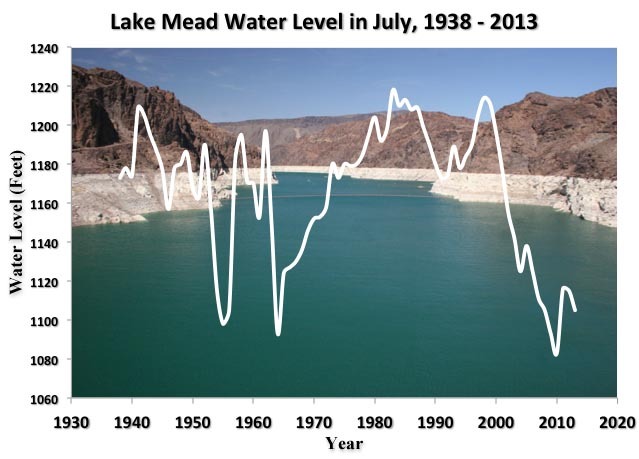 The entire state and much of the American West has been turned into a Climate Sacrifice Zone as the weather-forming jetstream – already displaced by extreme Arctic warming – is further fragmented by massive aerosol spraying that began in earnest when Dr. Teller joined international scientists in declaring a planetary climate emergency back in 1998. Back in the USA, summertime temperatures in March… rain “flashing” into snow at 40F… weather systems moving east to west against the normal flow are the signatures of the geoengineers. They and the governments they serve are running scared. Even as the American public is kept distracted by televised inanities and a missile-rattling White House, the most pressing national security threat is a chaotic climate on the verge of a runaway meltdown. The epicentre of rapid climate shift is Alaska, Siberia and the high Arctic. The Inuit of the Far North have a dozens of names to describe snow. But not one for the mosquitoes and robins arriving in their backyards. For “methane” they use English. 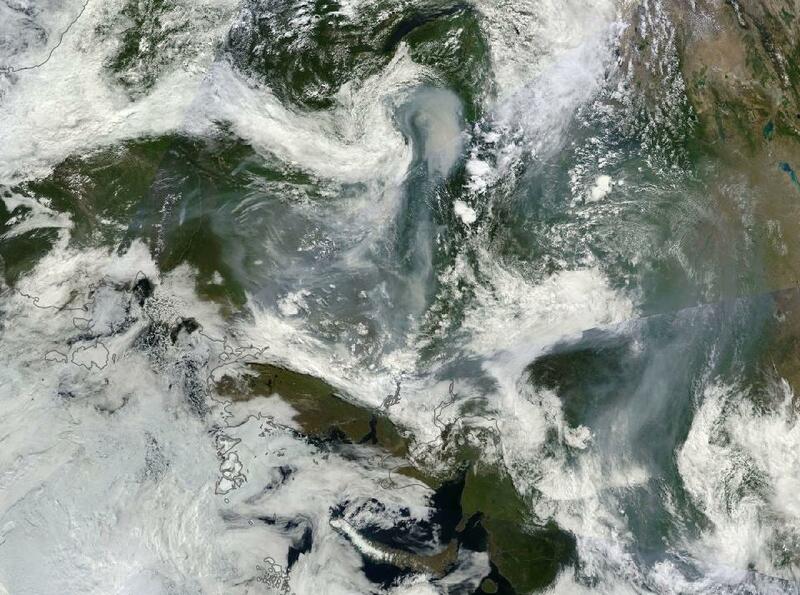 Even as an unprecedented Asian coastal heat dome sent temperatures and humidity to lethal levels, killing thousands of people in China, Siberia topped 90 degrees in an Arctic heatwave that sparked vast tundra fires. In yet another compounding feedback effect, the resulting soot fallout turned even bigger tracts of cold reflective snow into a blackened sunlight-concentrating furnace. As Greenland’s massive ice sheet flirts with 80 degree temperatures, vast expanses of rapidly thawing permafrost (heating more than 3½ degrees over the past five years), and more than 2 million square kilometres of methane clathrates on the Arctic Ocean seafloor are currently leaking significant amounts of methane into the atmosphere. 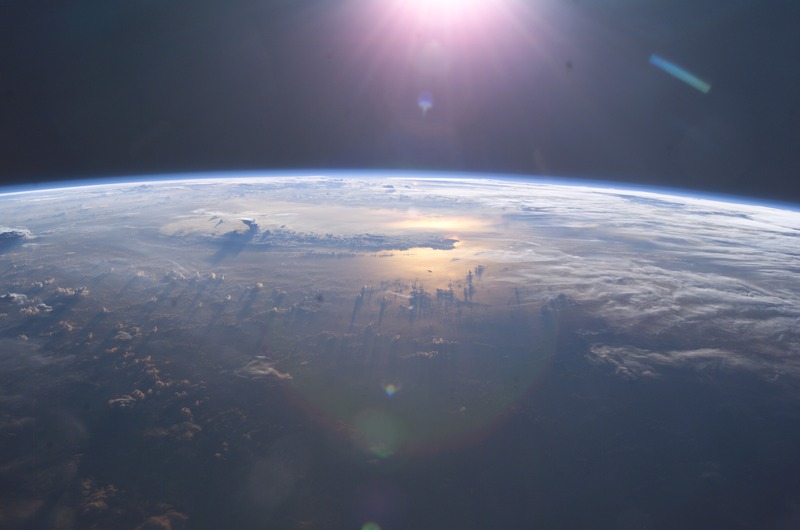 In July 2013, atmospheric methane jumped to the highest concentrations in 400,000 years. Say what you want about climate change – and many uninformed people do – methane is a cultural and conversational show-stopper. Over the first decade of its release into the atmosphere, CH4 is at least 100-times more potent than CO2. Over the next century, methane will continue to trap 20-times more heat than carbon dioxide. Our self-inflicted demise is not just about numbers. It’s about getting the lessons we’ve arranged for ourselves. It’s about drowning polar bears and a Siberian lake near the Northeast Science Station Chersky, where so much methane is being released the water looks like it’s boiling. 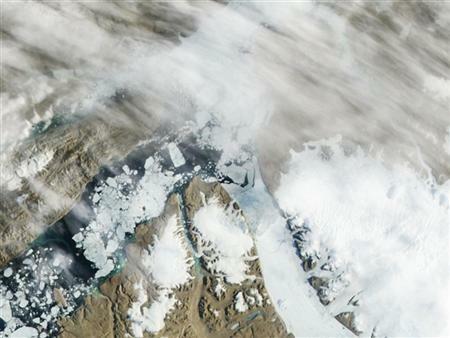 In July 2013, Arctic Ocean ice cover nearly vanished after – oops! – artificially-enhanced cloud cover gave way to clear sunny skies and yet another Arctic cyclone scattered the geoengineers’ slush like a melting snowcone tossed into a blender. So much for quick fixes. The resulting ascending columns of warm air are forming stationary high pressure zones that stall weather patterns, diminish cloud cover and invite further solar heating. Our orbiting scanners show these northern high pressure regions fragmenting the high-high-speed, altitude river of air called the jet stream, shoving it northwards 270 miles over the past 22 years and weakening the polar temperature gradient enough to produce distant “embedded” weather extremes. Continued loss of Arctic sea ice is dramatically changing global weather and precipitation patterns, including more frequent intense droughts over the USA as wet winter storm systems are deflected north over Canada. Ditto droughts over other mid-latitudes regions where most of the world’s food is grown. Disappearing snowpack and unseasonal recurving hurricanes like Sandy will also result from this shift in the jet stream, Francis forecasts. The official 1,000 page 2013 U.S. Climate Assessment warns that food shortages are likely in a USA already feeling the effects of climate change. 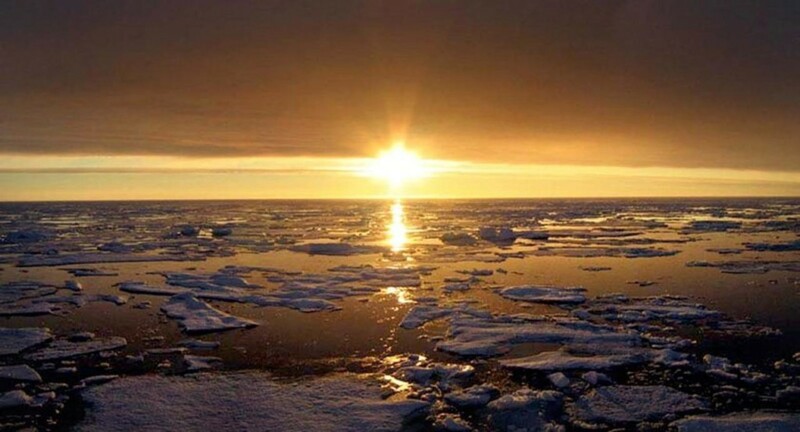 With the entire planet “on the verge of runaway climate change,” it’s not surprising that a group of eminent scientists calling themselves the Arctic Methane Emergency Group is urging a massive geoengineering effort to slow the Arctic meltdown. Even in an era of deep ocean oil drilling, worldwide fracking and the never-ending Fukushima nightmare, this is a spectacularly Bad Idea. “Drought” as in bye-bye Phoenix, LA and other thirsty desert cities. “Drought” as in the unsolicited end of Asian and African monsoons. Professor Alan Robock insists that tampering with Earth’s interlocking atmospheric processes could create famines and droughts, threatening the lives of nearly one in every three persons onboard this space colony. “Imagine if we triggered a drought and famine while trying to cool the planet,” Robock remonstrates. OUR SHIELDS ARE DOWN, SCOTTY! If US tanker planes (and possibly commercial aircraft) continue injecting sunlight-reflecting aerosols into the upper atmosphere,the ozone layer could be “destroyed” warns atmospheric scientist Ken Caldeira. He should know. Caldeira did the original “sun shield” computer modelling for the late Dr. Edward Teller in the late 1990s, hoping to prove the Father of the H-Bomb wrong. Despite the 1987 international ban on ozone destroying CFCs, continuing deterioration of the ozone layer by jet engine exhausts, weekly space launches and above all, megatons of geoengineering chemicals is resulting in sharply increasing amounts of solar radiation threatening all life on Earth. UK Cancer researchers report that skin cancers have more than doubled since the early 80′s, while worldwide some three million people are being blinded every year from UV-induced cataracts annually. High and rising UV levels may also suppress immunity, raising the risk from infectious diseases and limiting vaccine effectiveness. Extremely high UV concentrations recently measured in northern California also explain sun-scorched forests and widespread stunting of crops. Even whales are getting severely sunburnt, and fish are developing skin cancers from increasing solar radiation. 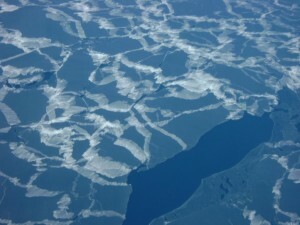 Just as Caldeira cautioned, the aluminum oxide, barium salts and other geoengineering chemicals currently in heavy use are providing a surface on which long-lived chlorine emissions circulating in the frigid stratosphere can initiate chemical reactions that destroy Earth’s protective ozone. This ozone destruction is most pronounced over polar regions. While not yet acknowledging ongoing Solar Radiation Management efforts over the past 15 years, the National Center for Atmospheric Research in Boulder, Colorado warns that constant injections of geoengineering aerosols over decades will destroy up to three-quarters of the ozone layer above the Arctic. The current massive ozone hole over the Antarctic is not closing at all. Onboard a spinning blue space colony surrounded by the cold irradiated vacuum of deep space, ensuring natural oxygen production and the scrubbing of excess CO2 by forests and tiny phytoplankton ought to top every government priority. Even as Earth’s remaining forests and mangroves continue to be felled and paved over, a thermal barrier is forming on the surface of the warming ocean, preventing mixing with cooler, nutrient-rich layers below. Plankton already hard hit by increasing levels of solar radiation are starving.The phytoplankton population has fallen about 40% since 1950.And it continues to nosedive as ocean temperatures rise and ocean acidification intensifies. “It’s very disturbing to think about the potential implications of a century-long decline of the base of the food chain,” echoes lead study author Daniel Boyce, a marine ecologist. With ocean acidification now occurring 10-times faster than it did during the last nearly all-inclusive extinction event 55 million years ago, we are facing a crescendo of extinctions as Earth’s intricately interdependent lives come apart. As go Earth’s interlocking ecologies, so go we. Increasingly frantic efforts by a handful of unelected and unannounced geoengineers make it imperative for the rest of us to get our ship together. A major study examining “Sensitivity of Ocean Acidification to Geoengineered Climate Stabilization” concludes that deep and rapid cuts in CO2 by more than 50% are “the most effective strategy” to avoid global disaster. This astonishingly ignorant White House official with enough skeletons in her closet to host a horror show neglected to add that soon there won’t be any fish. And Arctic tourists will court cataracts and melanomas. But just think of all that profitable gas and oil waiting to be drilled, spilled, shipped, burned and pumped into the atmos-fear! In 1212, a record 31 billion tons of carbon dioxide poured into the atmosphere from burning fossil fools. Once released, carbon stays in the atmosphere and continues to have a warming effect for at least 100 years. By now it’s impossible to separate the effects of human-induced global warming from more deliberate atmospheric machinations. Was the unexpected June 2013 cloud cover over the Arctic Ocean the result of a warming atmosphere and melting ocean icecap displacing the jetstream? 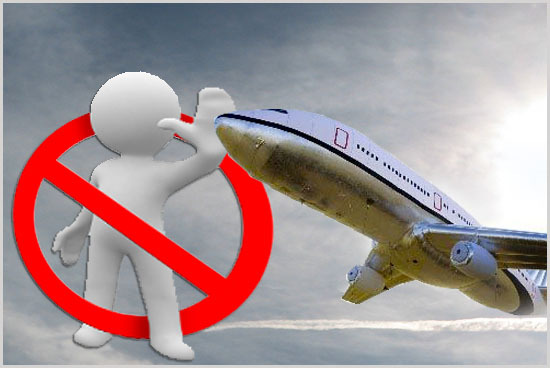 Desperate “lay downs” of cloud-forming and ice nucleating chemicals by high-flying jet tankers? Or both? The answer can’t be known because there is no longer any divide between unintended and deliberate climate modification. Chaos Theory teaches that as turbulent critical thresholds are crossed and self-reinforcing cascading effects are unleashed, geoengineering is creating a dangerous new synergy with global warming that is unpredictably amplifying the increasingly drastic oscillations of warming alone. If the current Sixth Great Species Interruptus isn’t dire enough, deliberate daily atmospheric tampering without worldwide consensus and debate is accelerating jet stream displacement, ocean acidification, ozone depletion, White House and Sussex Drive stupidity and species extinctions. Since we’re all in this together, from bees to boreal forests, that last mentioned item means us. What goes up is coming down. As social justice advocate and longtime “chemtrail” commentator Eamonn O’Brien recently commented to me, “Aerosol particles heat the air above their sunlight reflecting artificial layer 50 to 100 meters thick and cool the shaded air below. This cold air sinks as warm air naturally rises from the surface of the Earth. The resulting siphoning effect – or up-and-down convection currents – are spun clockwise north of the equator by the rotation of the Earth known as the Coriolis effect. If done in front of a storm front (usually advancing from West to East over North America), the spinning convection currents can result in tornados. And Nevins wasn’t even talking about more than 60 years of geoengineering efforts – from Operation Popeye seeding torrential rains over the Ho Chi-Minh Trail to Project Stormfury’s ongoing hurricane-control efforts today by U.S. Military Inc. 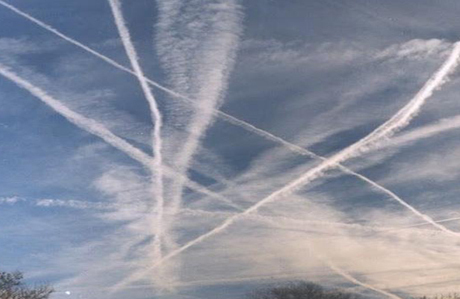 Lesser players include more than 150 weather modification programs taking place in 37 countries. In China, vast state resources have been committed to some 560,000 weather manipulations since 2002. But even Beijing’s localized attempts at weather control pale beside persistent continent-spanning attempts at geoengineering the climate. Have 15 years of sun-dimming aerosol spraying masked the true extent of “atmospheric forcing” from our heat-trapping emissions? As the dramatic one-degree surge in air temperatures following the three-day grounding of contrail-forming airliners after 9/11 demonstrated, the answer is unquestionably, yes. Are the faceless sky painters of those lingering and spreading chemical plumes painting us into an inextricable corner? What happens if their geoengineering efforts are suddenly halted? Temperatures could rise twice as fast as underestimating computer models are constantly failing to predict. Instead of demanding immediate cessation of Canada’s outrageous tar sands emissions, University of Calgary’s David Keith urges the introduction of geoengineering experiments on a global scale “sooner rather than later.” Does this mean we should step up those geoengineering efforts instead of curtailing our carbon emissions? It’s not over until the last polar bear sings. And right now, those exhausted big bears are drowning – along with their Inuit counterparts – for lack of stopover ice flows. Step one in our addiction recovery is to admit that our ship is cracking up. Only then will we take the actions necessary to keep Earth afloat in the inhospitable vastness of space, where no similar “Goldilocks” planets have been discovered within 21 lightyears. “The levels of denial are so complicated,” Naomi Klein observes. “We are all in denial. All of us. People are holding back a tremendous amount of anxiety. You don’t let yourself care about something that you have no idea how to fix. Because it’s just too terrifying. And it would derail your whole life. Given the duration and extent of the ongoing U.S. atmospheric aerosol program, it is impossible to begin to understand “climate change” without taking into account at least 15 years of active “Solar Radiation Management” by U.S. Air Force “Weather Force Specialists” and successive White House administrations. Until the “big names” in the climate change debate address ongoing geoengineering, any attempts to discuss “global warming”, “Arctic sea ice extent,” “California heat waves” or “climate change” without including the extreme variables introduced by daily geoengineering tanker flights are grossly misleading and dangerously invalid. The even bigger question is whether the geoengineers will be stopped in time. In the daily choices we make in what we buy, barter, recycle, discard or forego – in the allegiances we forge with your community and grass roots groups willing to put their bodies on the line to protect future generations of all interlinked species by stopping corporate depredations and the geoengineers – the only person who can answer that question… is you. Next articleWhat In The World Are They Spraying?